It’s true that not all meniscus tears require surgery…however…tears which are flipped or displaced are ideally treated surgically. In cases such as the one pictured, knee arthroscopy and trimming is the only good option for reducing knee pain. Platelet rich plasma (PRP) and or physical therapy will not help and quite possibly make things worse. 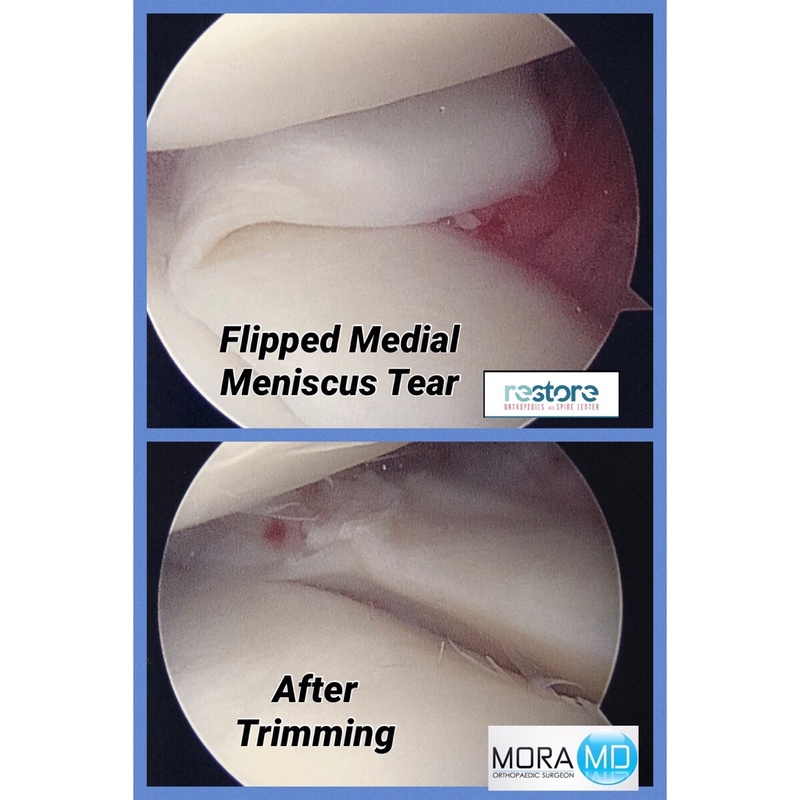 The key point of my post is not to say that all tears need surgery but rather to emphasize that not all meniscus tears are the same and that treatment should always be individualized to the patient and the specific pathology. Also an MRI or office needle arthroscopy done early might make a big difference when choosing treatment options. Dr. Mora is a board-certified orthopedic surgeon at Restore Orthopedics and Spine Center in Orange County.